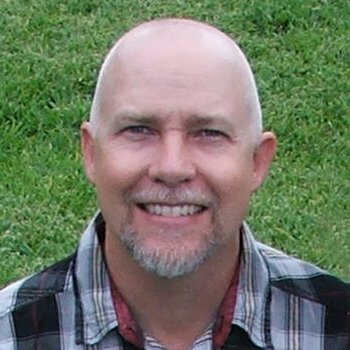 Hi, I am Paul and I am a sci-fi and fantasy author. 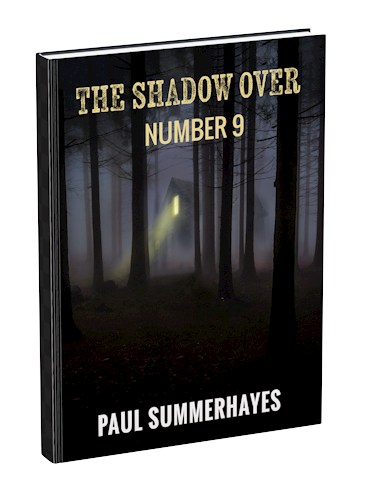 Like all writers, I am currently penning the next big number one seller – move aside George RR Martin and JK Rowling! My love of books has guided me through life to a point where I create my own sci-fi and fantasy stories. I have also been lucky to write professionally for the gaming industry. As wargamer, it has been a life’s dream come true. You never know where you’ll see my name in the credits. If you would like to talk about books or say hi, please get in contact. 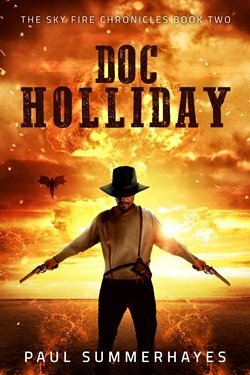 The Sky Fire Chronicles is a weird western series set in America during the late 1800’s. 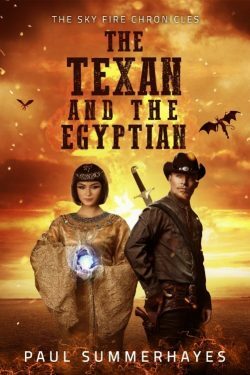 A young woman’s family is cut down by a dark god’s emissary, forcing her to pick up a gun and sword in defense of all she holds dear. At this time she is an unknown, little more than a child, but one day everyone would know and fear her. 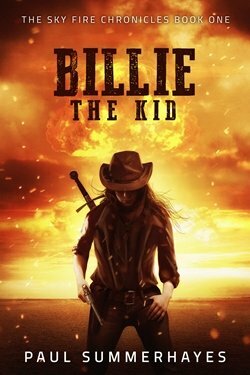 They call her Billie the Kid. The old gods stir. Their celestial war spills into our world, ending the American Civil War in an inferno that extinguishes life in large parts of the country. Under cloudless skies, legendary characters roam the wastelands while mutants and demons do more than infest people’s nightmares. They lurk in the darkness, waiting to spring into action at the whim of their vile masters. As an outcast from his village, Finn falls in with an old warden and proves himself worthy of becoming a warden. As the king’s representative, he must uphold all of the king’s laws regardless of the personal cost. Dire events force Finn to fight for his life and for his friends against both the living and the dead. Can Finn save his friends and stop the forces of evil in time? 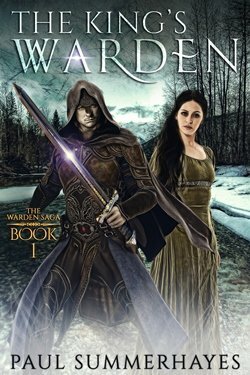 The King’s Warden is a fantasy novel featuring action with a twist of mystery. Rumors of war echo across the land as a powerful darkness rises again. Betrayed and pushed to his limit, Finn fights for what he believes in, but fighting always extracts a heavy toll. Can Finn pay the cost? And will he be in time to stop the forces of evil? And what of the black sword?…What does it want? 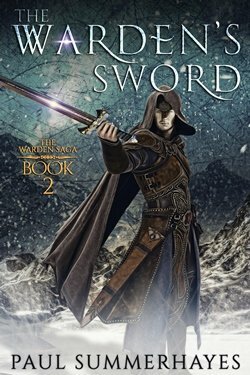 The King’s Sword is a fantasy novel featuring action with a twist of mystery. Anna slips further away from Finn, and is doomed to fall into darkness. 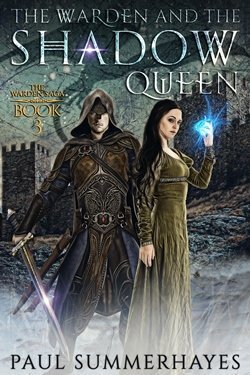 Her life is in his hands, but to save her he must travel across the sea, storm a castle, battle an insane enemy, and a horde of undead soldiers. In the growing darkness, the ancient order of mages plot and scheme. Their ambition for power threatens to cover the land in death and darkness. Can Finn stop the horrors their dark magic unleashes? And why does the Black Sword thirst for blood? Will Finn finally discover its secrets?